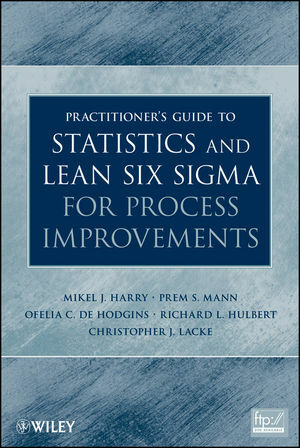 This book is an introductory book on improving the quality of a process or a system, primarily through the technique of statistical process control (SPC). There are numerous technical manuals available for SPC, but this book differs in two ways: (1) the basic tools of SPC are introduced in a no-nonsense, simple, non-math manner, and (2) the methods can be learned and practiced in an uncomplicated fashion using free software (eZ SPC 2.0), which is available to all readers online as a downloadable product. 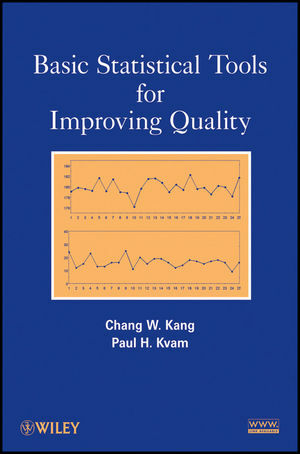 The book explains QC7 Tools, control charts, and statistical analysis including basic design of experiments. Theoretical explanations of the analytical methods are avoided; instead, results are interpreted through the use of the software. Chang W. Kang, PhD, is Professor in the Department of Industrial and Management Engineering at Hanyang University (South Korea). He has published extensively in the areas of engineering statistics, statistical quality control, and quality management. Former president of the Korea Society of Industrial and Systems Engineering, Dr. Kang is the recipient of both the President's Award (2004) and the Medal of Service Merits (2007) by the Korean government. Paul H. Kvam, PhD, is Professor of Industrial and Systems Engineering at the Georgia Institute of Technology. He has published numerous papers in the areas of statistical reliability with applications to engineering, nonparametric estimation, and analysis of complex and dependent systems. He is a Fellow of the American Statistical Association and the coauthor of Nonparametric Statistics for Science and Engineering (Wiley). 1 The Importance of Quality Improvement. 1.2 What is Statistical Process Control? 1.3 The Birth of Quality Control. 1.4 What is a Process? 1.5 Examples of Processes from Daily Life. 1.6 Implementing the Tools and Techniques. 1.8 The Goal of Statistical Process Control. 1.9 The Eight Dimensions of Quality for Manufacturing & Service. 1.10 The Cost of (Poor) Quality). 1.11 What Did We Learn? 2 Graphical Display of Data. 2.1 Introduction to eZ SPC. 2.2 Qualitative and Quantitative Data. 2.10 Cause and E®ect Diagram. 2.11 What Did We Learn? 3.4 Distributions in eZ SPC. 3.5 What Did We Learn? 4.5 What Did We Learn? 5.1 The Concepts of a Control Chart. 5.2 Managing the Process with Control Charts. 5.5 Deciding Which Chart to Use. 5.6 What Did We Learn? 6.6 Gage R & R.
6.7 What Did We Learn? 7.4 Overview of Experimental Design. 7.6 One-Way Analysis of Variance . 7.7 Two Way Analysis of Variance. 7.8 Two-level Factorial Design Analysis. 7.9 What Did We Learn? 8.3 Test Your Knowledge: Answers.